Panasonic Corporation and Tesla Motors finalized a supply agreement for automotive-grade lithium-ion battery cells. Panasonic is the world's leading battery cell manufacturer and a diverse supplier to the global automotive industry. Panasonic's automotive grade lithium-ion battery cells will be used in Tesla's premium electric sedan, Model S.
The agreement supplies Tesla with Panasonic's lithium-ion battery cells to build more than 80,000 vehicles over the next four years. It guarantees the availability of enough cells in 2012 to meet Tesla's aggressive production ramp-up and fulfillment of more than 6,000 existing Model S reservations. This supply agreement helps ensure Tesla will meet its cost and margin targets for Model S.
This agreement builds upon a multi-year collaboration between Panasonic and Tesla to develop next-generation automotive-grade battery cells and accelerate the market expansion of electric vehicles. In 2009, Panasonic and Tesla initially entered into a supply agreement. In 2010, Panasonic invested $30 million in Tesla to deepen the partnership and foster the growth of the electric vehicle industry. Panasonic supplies cells with the highest energy density and industry-leading performance using its nickel-type cathode technology. Panasonic and Tesla together have developed a next-generation battery cell based on this nickel chemistry and optimized specifically for electric vehicle quality and life. These new cells will combine with Tesla's proven EV battery expertise gained from more than 15 million customer miles driven in Tesla Roadsters and thousands of hours of cell and battery testing to create the most capable electric vehicle ever produced, Model S.
"It is a powerful endorsement of our technology that Panasonic, the world's leading battery cell manufacturer, has chosen to partner with Tesla to advance electric vehicle performance and value," said Tesla Co-Founder and CEO Elon Musk. 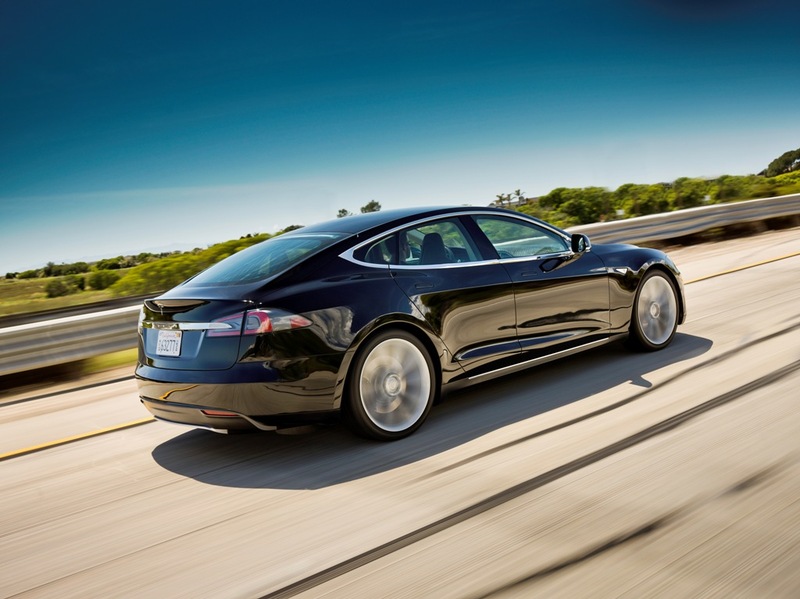 "Incorporating Panasonic's next-generation cells into Model S batteries will ensure unrivaled range and performance. We are very grateful for our great partnership with Panasonic." "Panasonic will supply lithium ion cells for EVs that can achieve longer range with large energy density. It is our pleasure to start supplying the cells for Tesla's Model S and promote sustainable mobility," said Masato Ito, President, Energy Company of Panasonic Corporation. Tesla is a supplier of batteries and powertrains to Toyota and Daimler. 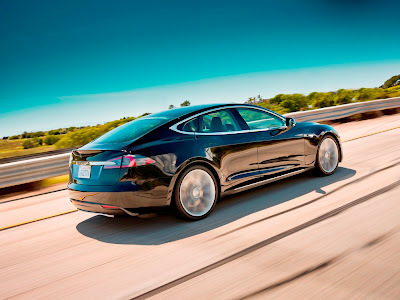 Tesla is a comprehensive electric vehicle powertrain component supplier to the electric vehicle industry.